That’s right – you spoke, we listened. Our previous site wasn’t the most user friendly. With certain pages hidden from the menus, and no fast way to find what you’re looking for, the search bar is exactly what everyone needs (We’re only a few years late to the party 😉 ). Other than that, you will notice more of a social media connection around our site. We frequently use platforms such as Facebook or Twitter to quickly get information about the programs we offer and all around general notices out to our followers. Connect and share with us! – also, notice the tight integration with Facebook and Twitter timelines in the page footer. Just another way to connect everyone! We Have a Contact Form?! … YES?! That’s right folks – no more going through the treacherous task of copying and pasting our email address (which is info@saskatoonzoosociety.ca if you’re wondering! ), now you can simply send us an email directly from our website! Sweet, hey? Also, in case you haven’t heard already, the staff at the Saskatoon Zoo Society are very busy educating Saskatoon and surrounding areas on the environment and everything that goes along with it – so we’ve added an FAQ page to make answering those simple questions easier for everyone. Don’t want to spend hours looking for an event that’s going on tomorrow? We’ve got you covered. Our new Events Page allows you to view upcoming events in a streamlined way – choose to view as a list, as a calendar or see whats happening on that day… it is all up to you. 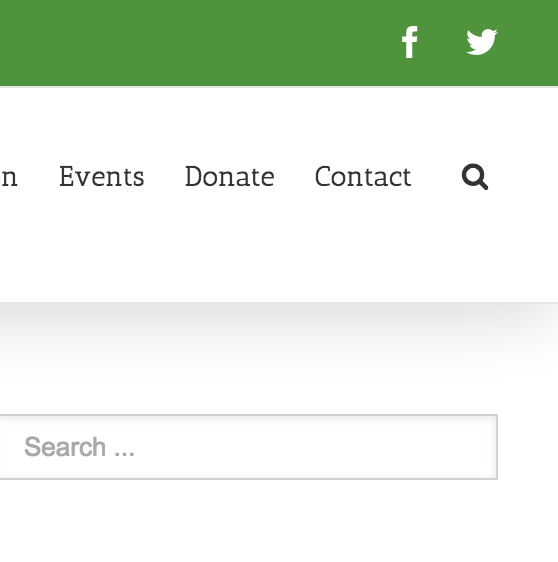 We’ve also added a link in the header of each page which can be used to log in to your account to sign-up/manage event registrations – how cool is that?! Oh – And Did We Forget To Mention? We’re Mobile. The few features listed above are just the tip of the iceberg. 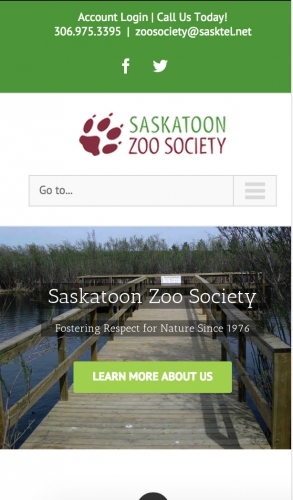 All around, the Saskatoon Zoo Society’s internet presence has been vastly improved. Some of the content has changed to better suit all of our viewers. We’re thankful for all our volunteers, sponsors, and supporters. We’ve made subtle adjustments to make your lives easier, and make it easy to find information about the programs and camps we run. Who knows what is in store for the future? That’s pretty much the end of this blog post. Oh! That’s another thing I forgot to mention – remember how on the previous site you would find News/Alerts under News and Events? Well that’s changed. The Events page (as it is now called) is precisely that. Events. Nothing less, nothing more. We would like to keep it that way, so you’ll find upcoming events on that page all nicely laid out for you 🙂 okay… back to the point. News/Alerts will be found here, on the blog (unless they’re urgent, those important notices will be on the front page if needed). Members of the Zoo Society staff will update this page if something comes up, and you’ll be able to find interesting articles and such here, very soon. Stay tuned. Follow Us on Twitter or Like Us on Facebook for updates.